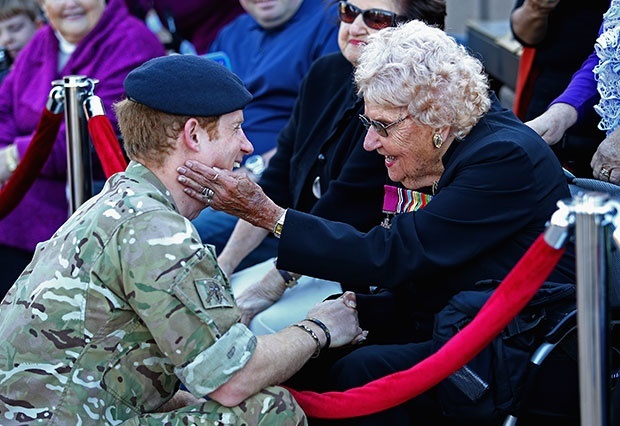 Cape Town – Prince Harry's absolute biggest fan, Daphne Dunne has died. She was 99. According to a tweet by Alex Hart, a reporter for Australian outlet Seven News, Daphne died on Monday after battling pneumonia. A statement shared by Daphne's family on Instagram says the war veteran "died peacefully" and will be greatly missed" by all. "The simple act of stopping Daphne in the street and holding her hand meant more to Daphne than anyone could ever imagine. We, her family, would like to thank everyone for the love and support they showed Daphne." 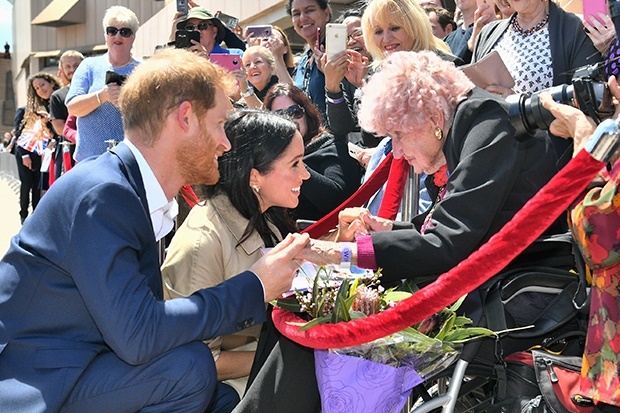 Daphne's - who spent a large part of her life representing the women of the Australian Army - death comes three days after she celebrated her 99th birthday with a special card from her favourite royal. Photos shared on Instagram show Daphne receiving the birthday card from her hospital bed. Today I celebrated my 99th birthday. I received a lovely message from Prince Harry and Meghan which really made my day. I wanted to thank everyone who wished me a happy birthday, it means a lot and has touched my heart. ?? According to BBC News, Daphne first met Harry in May 2015 during a visit he made to Sydney, Australia after a month-long deployment with the Australian Army. 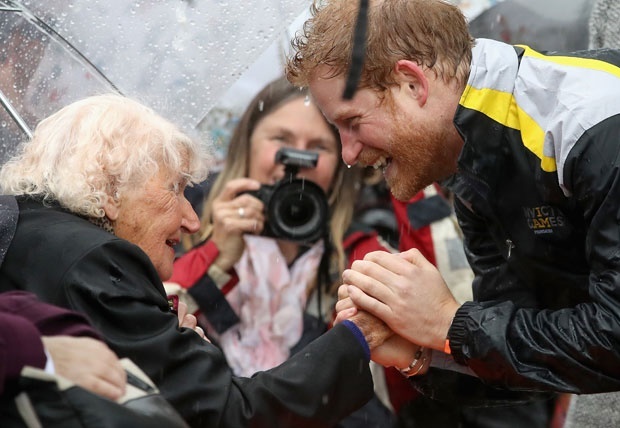 Harry then met up with Daphne - who was sitting in the crowd in the rain - in June 2017, when he travelled to Australia to announce that the Invictus Games would take place in Sydney in 2018. The third time Harry met Daphne was when he and his new wife Meghan visited Australia during their 16-day tour of the South Pacific. "It was lovely to meet the duchess, Meghan. Harry is a wonderful man and I'm so happy he had found happiness, they both deserve the absolute world together," Daphne said after meeting the Duchess of Sussex.